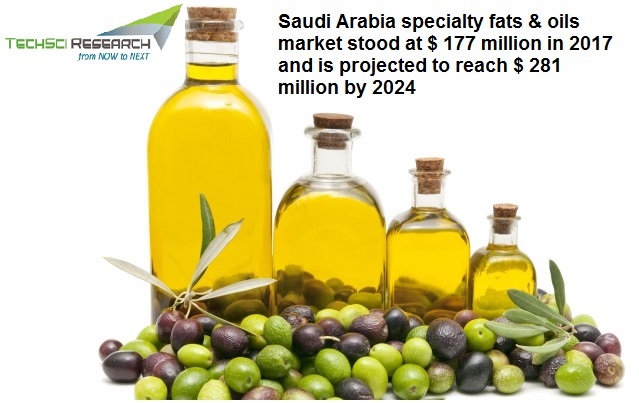 According to TechSci Research report, “Saudi Arabia Specialty Fats & Oils Market By Type, By Form, By Functionality, By Application, Competition, Forecast & Opportunities, 2024”, Saudi Arabia specialty fats & oils market is forecast to reach $ 281 million by 2024. Anticipated growth in the market can be attributed to increasing use of specialty fats and oils as a replacement for cocoa butter and other oils that are not healthy for cardiac health. Cocoa butter is widely used in various food industries such as chocolate, confectionery and bakery industry for molding, texturing and filling. However, supply of cocoa butter is constrained in Saudi Arabia along with its higher price, which is pushing end use industries to opt for cocoa butter alternatives. In Saudi Arabia, people are more inclined towards consumption of non-vegetarian food that requires deep frying, which alters the nutritional value and flavor of the cooked food. Thus, people are now shifting towards specialty oils such as palm kernel oil, extra virgin olive oil, etc., that keep nutritional value and flavor of the food intact. This factor is expected to drive demand for specialty oils during forecast period. Additionally, chocolate, confectionery and bakery manufacturers are shifting towards the use of specialty oils to provide creamy texture and enhance the flavor of end products. Furthermore, cocoa butter alternatives such as cocoa butter replacer, cocoa butter substitutes and cocoa butter equivalent are available at economical prices as compared to cocoa butter, so they are increasingly becoming a preferred choice in chocolate, confectionery & bakery industry. “Central region is the highest demand generating region for specialty fats and oils in Saudi Arabia. The region has the capital city Riyadh, which is one of the most populated cities with high purchasing power. 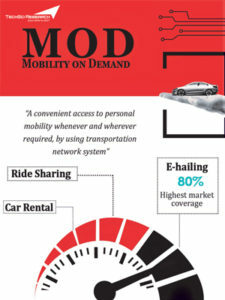 Moreover, central region has better road connectivity and infrastructure that makes the region suitable for industrial set ups. This factor is attracting investments from leading food and beverage companies, which is anticipated to boost demand for specialty fats & oils across the region over the next five years as well.” said Mr. Karan Chechi, Research Director with TechSci Research, a research based global management consulting firm. “Saudi Arabia Specialty Fats & Oils Market By Type, By Form, By Functionality, By Application, Competition, Forecast & Opportunities, 2024” has evaluated the future growth potential of Saudi Arabia specialty fats & oils market and provides statistics and information on market structure, size, share and future growth. The report is intended to provide cutting-edge market intelligence and help decision makers take sound investment decision. Besides, the report also identifies and analyzes the emerging trends along with essential drivers, challenges and opportunities present in Saudi Arabia specialty fats & oils market.